We did it! We bought a house and moved in! I mentioned in my previous post how much I had hoped to tell you we had bought a house and moved in by last week but it just hadn’t happened last week. This week it has and we love our home. There are boxes everywhere, wall hanging in stacks leaning against the wall, and the place is a mess but it’s our mess and we are thrilled. It has been such a whirlwind. I barely know what day it is and I certainly don’t know where anything is in my house but there is a surprising peace. Jared preached Sunday on the endurance of believers. Please don’t misunderstand me…we are not going through some “fiery ordeal” as Peter describes in his first letter to the believers at the time. (1 Peter 4:12-13). We have, however, been in an upheaval for several months. We have found ourselves with lots of uncertainty, emotional good-byes and adapting to a new normal—a new life in a new town with new friends, new church and, come the fall, new schools. All along I have sensed a peace—not because it has all been peaceful. 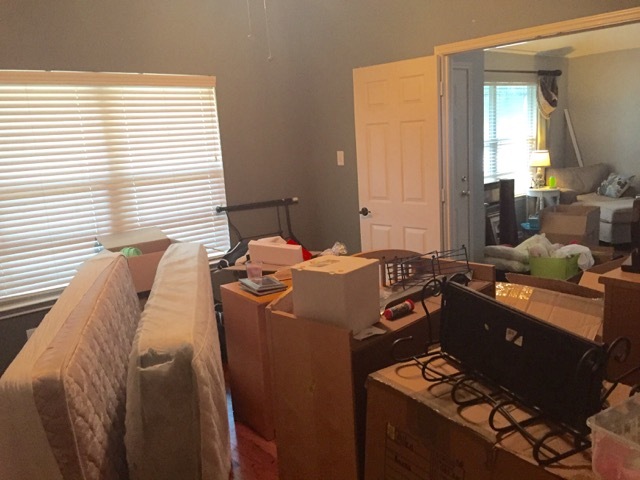 If you’ll remember, we drove through a flood on Memorial Day to get here, we were significantly delayed in closing on our new home and all of our belongings had to be moved from one moving truck to another to accommodate the delay. Yet, there has been peace–the kind not warranted by our circumstances. I hope you don’t read this and envision sunshine and rainbows. It hasn’t all been sunshine and rainbows. There has still been tears, there have been restless nights and utter exhaustion. I’ve found myself frustrated and sometimes at the end of Bobi Ann. What I want to communicate with you is where I’ve seen God bring me. There was a time when I would have been undone by so much upheaval and uncertainty.. This time, however, I have been able to see God’s hand of provision everywhere. From events that led to closure in Huntsville, openings in the school I really wanted for Kie, friends for Kati Ann and wisdom for my husband–I see God at work. We’re in our house now and there is still chaos and I see evidence of God’s hand on our lives. I see Him walking alongside me. Are you walking through an unexpected ordeal? Do you feel overwhelmed with your circumstances? It is easy to focus on the obstacles, the unfavorable circumstances and the chaos surrounding our lives and lose sight of what God is doing. 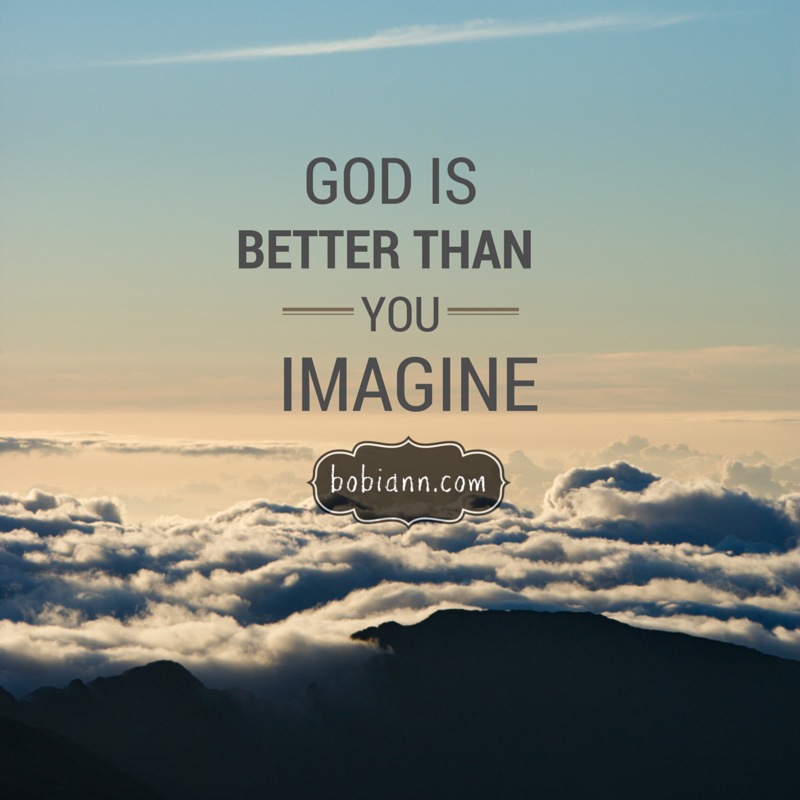 God is better than you imagine. He has not abandoned you. God is inviting you to press in–experience His rest today. His rest doesn’t mean your situation changes, it means He offers you endurance and peace as you discover His strength and provision. Where have you seen God at work around you even in the midst of difficult circumstances? Share them in the comments and write them down in a journal to serve as a reminder of God’s faithfulness. I enjoyed sharing a pew with you Sunday morning. The music was great and we got a challenging message to send us out into the world. Jared seems to be off to a great start! I pray your transition will be easier as you move forward. Changing pastors was a challenge for the church but not to the level your family has experienced. It was fun sitting by your guys too. Thanks for the encouragement!